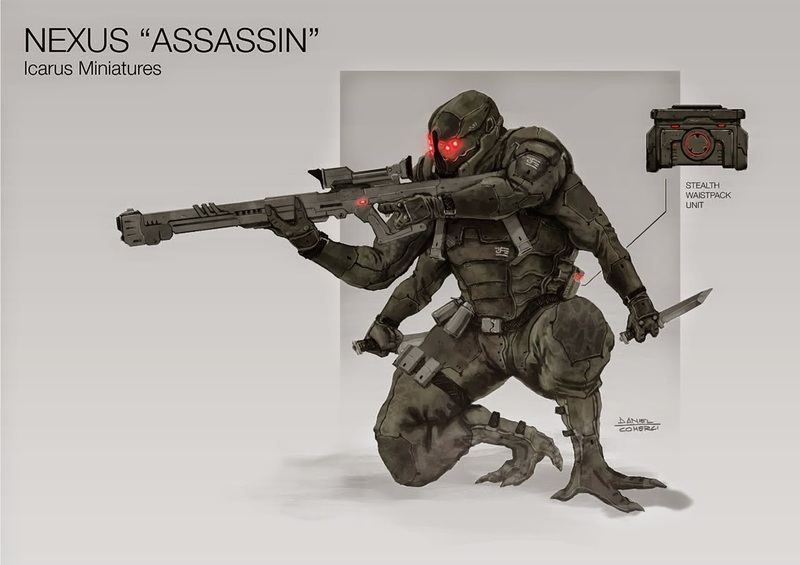 Icarus miniatures have shown off concept art mainly for their Nexus faction, all with which feature an extra set of limbs (which the sniper must find especially useful to scratch an itch when you’ve got the enemy in your sights). Its all very early work at this point and the game is set for Kickstarter later in the year. So we’ve seen some pretty pictures, is that enough to get excited by? 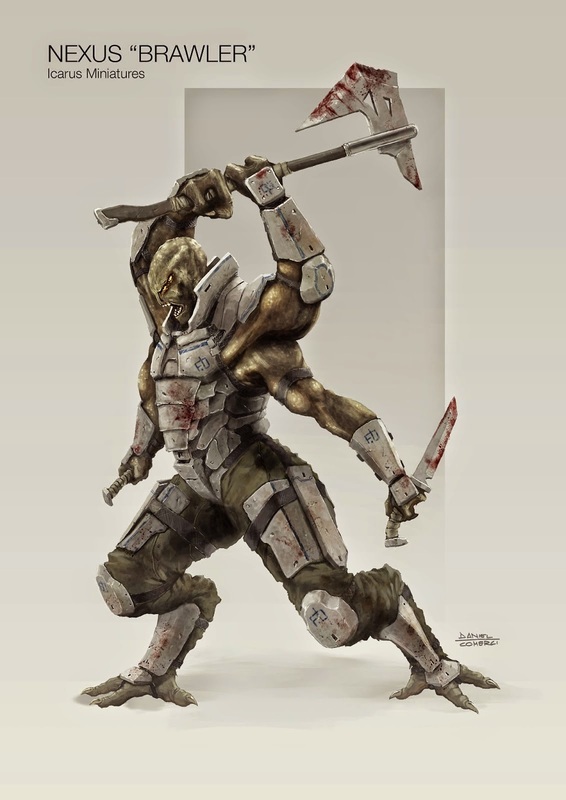 Well not on its own, you need to also consider the Icarus Miniatures is the brain child of Anthony Cerrato, aka Imm0rtal Reaper and staff writer at Talk Wargaming. 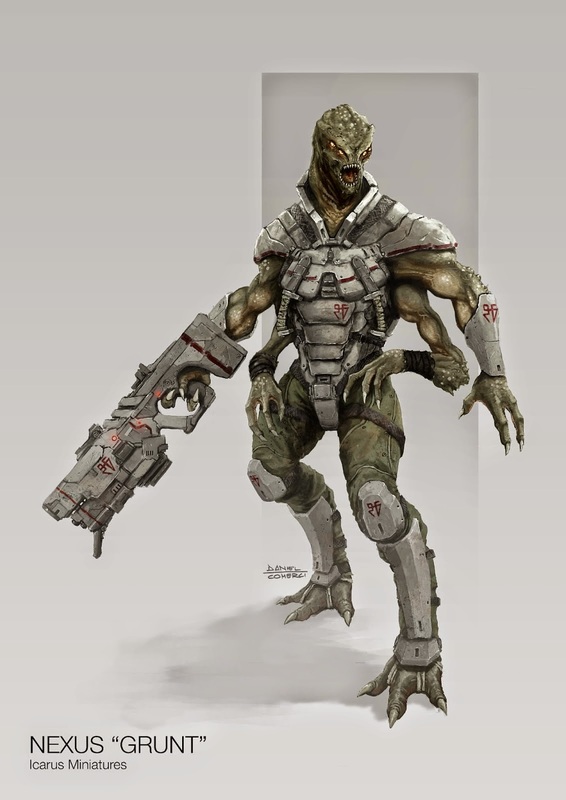 Still not enough then you can check out the in development rules from the Icarus Miniatures website.